Antoine McColister, to the audience known by his stage name of Ace Hood, is a famous American rap artist, record producer, as well as a songwriter. Ace Hood rose to prominence in 2008 with the release of his debut album called “Gutta”, which peaked at #36 on the Billboard 200 music chart, and managed to sell more than 24,700 copies during its first week. The album also spawned such singles as “Cash Flow” and “Ride”, while “Top of the World” brought him the most public attention. The latter song was featured in a video game entitled “NBA 2K10”, which was developed by “Visual Concepts”. Undoubtedly, the popularity of the song made significant contributions to the overall sales of the album. So far, Ace Hood has released four studio albums, the most recent of which came out in 2013, under the title of “Trials & Tribulations”. The album, that included guest appearances from Rick Ross, Wiz Khalifa and Anthony Hamilton, debuted at #33 on the Billboard music chart, and spawned four singles, among which were “Bugatti” and “We Outchea”. Currently, Ace Hood is working on his 5th album, which is scheduled to be released in 2015. A famous rap artist, how rich is Ace Hood? According to sources, in 2011 he earned as much as $108,000 from the sales of his album “Blood, Sweat & Tear”, while in 2013 he earned $65,000 from the sales of “Trials & Tribulations”. In regards to his overall wealth, Ace Hood’s net worth is estimated to be $5 million, most of which has come from his rapping career. Ace Hood was born in 1988, in Florida, United States, where he studied at Deerfield Beach High School. He initially planned to follow a career in professional football, but after suffering from an injury, he decided to become a rap artist instead. Ace Hood started his career as a member of the group called “Dollaz & Dealz”, with which he even released a single entitled “M.O.E”. Hood was discovered in 2007 by a fellow rap artist and record producer, DJ Khaled, who signed him to “We the Best” record label. A year later, Ace Hood came out with his debut album “Gutta”. Hood released two more albums, namely “Ruthless” and “Blood, Sweat & Tears” under “We the Best” label, before he signed to “Cash Money Records”, which included “We the Best Music Group”. Hood’s first project with “Cash Money” was “Trials & Tribulations” album. Aside from solo projects, Ace Hood has participated in collaborations with other artists. Over the years, Hood has worked with such famous rappers as Lil Wayne, Meek Mill, Rick Ross and T-Pain. 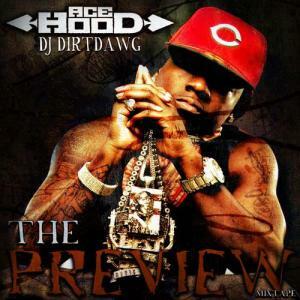 More recently, in 2014, Ace Hood released a mixtape called “Starvation 3”, on which he worked with Kevin Cossom, Cool & Dre, and Betty Wright to name a few. For his contributions to music, Hood has been awarded with BET Hip Hop Awards, and BET Awards. A well-known rapper, Ace Hood has an estimated net worth of $5 million. WHO IS THIS GUY. I NEVER HEARD OF HIM. IF HE IS A RAPPER, HIS LIFE EXPECTANCY IS VERY SHORT.